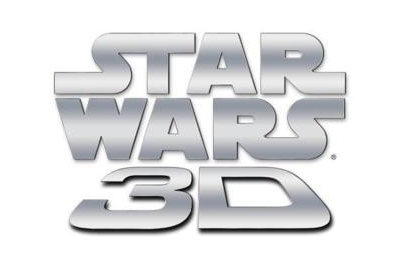 So far two Star Wars movies (The Phantom Menace and The Force Awakens) have received wide release in 3D, two more are finished and have been screened at special events (Attack of the Clones and Revenge of the Sith), and none have been released on home media. That last one, might be about to change. The Digital Bits is reporting that the entire Prequel trilogy and The Force Awakens will be released on 3D blu-ray as a five disc set (one for each film, plus a bonus features disc) this December. "The latest from our retail and industry sources is that Disney and Lucasfilm are considering a 5-disc Blu-ray 3D box set, which would include The Phantom Menace, Attack of the Clones, Revenge of the Sith, and The Force Awakens – all in Blu-ray 3D format – along with a fifth disc of exclusive bonus content. The release date would presumably be in time for the holidays this year, and likely timed to promote the theatrical release of Rogue One: A Star Wars Story on 12/16." We've known for a while that a 3D Blu-ray release of The Force Awakens is coming, however it was never clear why it was not made available at the same time as the rest of the home media releases. Perhaps this is why. I've only seen The Phantom Menace, Revenge of the Sith (at Celebration Anaheim in April 2015), and The Force Awakens in 3D, so I would love the opportunity to see Attack of the Clones for this first time in this format, as well as relive the other ones. The 3D on Revenge of the Sith is one of the best 3D conversions I've ever seen (far more engaging than what we got with The Phantom Menace), so I hope they find a way to make the last two prequels available (in this box set or, better yet, in theatres). THANK YOU, THANK YOU, THANK YOU, THANK YOU, THANK YOU, THANK YOU, THANK YOU, THANK YOU, THANK YOU, THANK YOU, THANK YOU, THANK YOU, THANK YOU, THANK YOU, THANK YOU, THANK YOU, THANK YOU, THANK YOU, THANK YOU, THANK YOU, THANK YOU, THANK YOU, THANK YOU, THANK YOU, THANK YOU, THANK YOU, THANK YOU, THANK YOU, THANK YOU, THANK YOU, THANK YOU, THANK YOU, THANK YOU, THANK YOU!!!!! A) I was really hoping for a 7 film 4k 3D box set. B) I hope Ilm and the converting company went back and redid their work on The Phantom Menace. Hope that this is true. I'm a fool for a nice boxset! I would love 4K remasters of all the films, especially the original trilogy and at least The Phantom Menace. I'm not sure how much good it would do to master Attack of the Clones and Revenge of the Sith in 4K since they were shot natively since they were both shot natively in 1080p (which is head scratching to me). The Phantom Menace and Attack of the Clones do need some sort of remaster though as the digital noise reduction on both of these films blu-rays really hurt the image quality. Revenge of the Sith on the other hand is a reference quality disk, I've used that blu-ray to show off just how good high definition can look to people. Also, Bill Hunt, who runs the Digital Bits-who broke this news, has ran multiple rumors about a 4K remaster of the original trilogy being done. Hunt is usually dead on with his sources for home entertainment news, so this is probably more than just a rumor for both stories. Disney is set to begin releasing UHD blu-rays later this year and the format is showing that it has legs so far so my guess is once all the Fox rights are dealt with we will see the original trilogy in 4K.